Tiruchirapalli (Trichy) is located in Tamil Nadu. The educational city of Tiruchirapalli has a number of colleges which has been offering education for decades. It is to be noted that the 'Former President of India' Dr. A.P.J Abdul Kalam and writer Sujatha Rangarajan ((Rangarajan) studied at St. Joseph's College in this city. Even, another 'Former President of India' R. Venkataraman studied at National College of Trichy. Colleges in Tiruchirapalli imparts undergraduate, post graduate courses in the field of Engineering, arts and social science, law, commerce, medical science, journalism etc. Recognized colleges situated in Trichy are IIM Trichy, JJ College of Engineering and Technology, MIET Engineering College, NIT Trichy, Periyar College of Pharmaceutical Sciences for Girls etc. Indian Institute of Management is the most prominent business college in India. IIM Trichy is one from the new IIMs. JJ College of Engineering and Technology, Tiruchirappalli/Trichy, Tamil Nadu is managed by J.J. Educational Health & Charitable Trust, affiliated to Anna University and approved by the All India Council for Technical Education (AICTE), Government of India, New Delhi. JJ College of Engineering & Technology offers various disciplines of engineering at the undergraduate and postgraduate level. Even, management and computer applications courses are offered at PG level. These courses are accredited by the National Board of Accreditation (NBA). Mohamed Institute of Education and Technology Engineering College, which is known as MIET Engineering College. MIET is approved by All India Council for Technical Education (AICTE), Government of India, New Delhi and affiliated to Anna University, Tiruchirapalli. At undergraduate level the courses offered by MIET in engineering are Mechanical Engineering, Electrical and Electronics Engineering, Electronics and Communication Engineering, Computer Science and Engineering, Civil Engineering, Information Technology (B Tech). 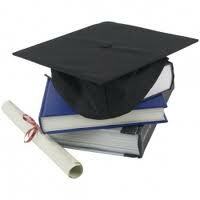 After completing the chosen course from the said courses, one can gain BE/B Tech degree. At Post graduate level the courses offered by MIET in engineering are Computer Science & Engineering and Manufacturing Engineering. After completing the chosen course from the said courses, one can gain ME/M Tech degree. National Institutes of Technology (NIT) Trichy is a fully funded institute by the Government of India. National Institutes of Technology (NIT) Trichy offers B Tech, M Tech and PhD degrees to under graduate and post-graduate aspirants. Besides offering engineering programs, it also carries out courses in management and architecture. All India Council for Technical Education (AICTE), Ministry of Human Resource Development, Government of India and Pharmacy Council of India (PCI), New Delhi has approved Periyar College of Pharmaceutical Sciences for Girls. Colleges in Tiruchirapalli (Trichy) provide modern facilities to the students such as Hostels, Transport, Canteen, Laboratories and library, Computer center with internet connection, Playgrounds, Placement cell, Workshops, Training and Placement Cell, Banking and Post Office, Extra Curricular activities, Hospital, Post & Telegraph, Telecom Center, Book stall, Reprographic Center, Canteen, Swimming pool, Co-operative Stores. Get connected to different colleges in Tiruchirapalli which is just a click away. StudyguideIndia will provide you the information as required by you. Information which is provided here is correct. If at all you come across any errors you are requested to kindly let us know. "Following are the list of Colleges in Tiruchirapalli. All Colleges in Tiruchirapalli are divided location wise. We have even listed Colleges in Tiruchirapalli as per alphabetical order making it easy to find the desired college and information on it. If you come across any College in Tiruchirapalli which is not found in our list below, please do let us know by using add in list which is default in our website”.